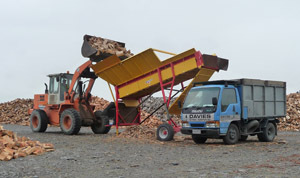 Davies Firewood supplies and delivers dry firewood throughout Christchurch and to rural areas near Templeton all year round. 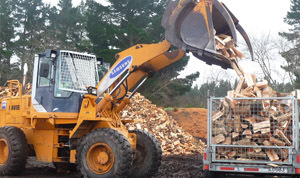 Producing and delivering split, screened and dry firewood. Stocking a range of different types of wood. Efficient service from the initial contact to delivery. Selling bags of kindling @ $8.00 per bag with firewood orders. 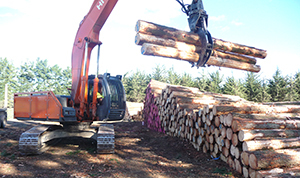 Our company has been owned and operated by a local Christchurch family (the Davies family) since it originated in 1965. In those days it was called Chris Davies & Son Tree Services and focused on treework. In 2004 when Alex (the son) and his wife Ruth took over the reins, they gradually changed the focus from predominately residential treework to solely firewood and logging. Ruth, Alex and their great team of employees pride themselves on having an efficiently organised and professional reputation.